Best Picture Book Apps – Classic Print to Digital Transitions – reviews from Digital-Storytime who have published a fourth annual “best of the best” list for the top picture book apps for children, ages 2-12 years. The list is broken down into five separate categories, including this one – five apps based on beloved print books. All five are popular or classic titles that make a seamless transition to digital, with thoughtful storytelling and relevant enhancements. 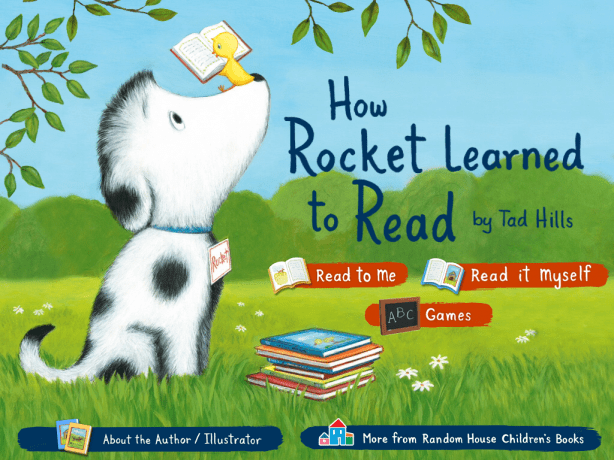 The 2010 New York Times bestselling title, How Rocket Learned to Read is one of those paper books that makes a great interactive app, especially with the thoughtful enhancements from Random House Kids. Not only is it lightly animated with nicely tailored interactive elements, but these additions rarely distract from an essentially a beautifully constructed story. 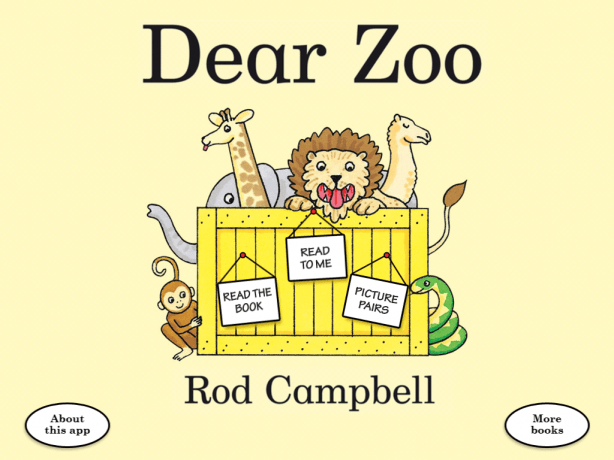 Based on the classic 1982 Rod Campbell title, Dear Zoo is a beautifully enhanced book app that takes the very best of a traditional ‘lift-the-flap’ title in print and brings it to digital seamlessly. Children will enjoy this story, about a child who writes to the zoo to send a new pet, but each animal is not quite right for different reasons. How I Became a Pirate is based on the print title of the same name, published in 2003 by Melinda Long With word craft, timing and overall storytelling genius, Long weaves a tale about young Jeremy, a boy on a beach trip with his family. Without a word to his distracted parents, Jeremy joins a band of pirates to help them bury treasure. The books also features narration by Billy J. Kramer, with highlighting word for word (or tap any word to hear it again). The collection includes: The Going to Bed Book, Moo, Baa, La La La!, Blue Hat, Green Hat, and Barnyard Dance! 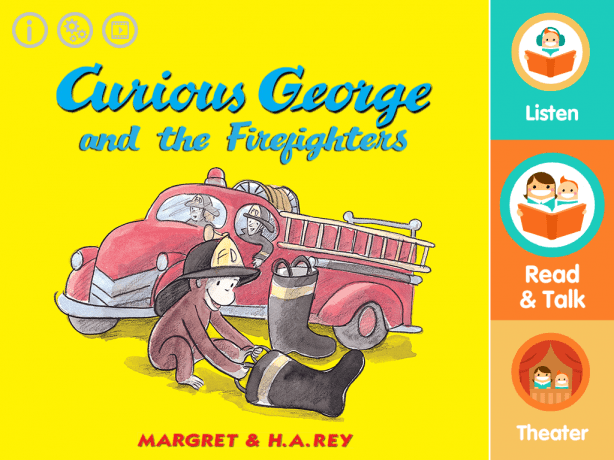 Curious George and the Firefighters by TribalNova is a universal app for iOS which features George and the man with the yellow hat on a trip to the firehouse. In this adapted app for iOS, this animated story features three options, a “listen”, “read and talk” and then “theatre”. One of the features of the app is iReadWith which is designed to help with language development and help pre-school children learn to read using a shared reading activity which encourages readers to talk and participate using a prompt which encourages questions to help better understand the story as well as demonstrate understanding of the story by being an active versus passive participant.